Tower Grove Park debuted its new master plan to a large crowd at the Piper Palm House on August 30. More than 200 people attended the public open house. The final period of public commentary of this nine-month public process has now ended. Thank you to everyone who submitted comments. The new Tower Grove Park master plan seeks to enhance the Park for the 21st century while preserving the Park’s historic landmark status. Check out the highlights or download the complete plan here. 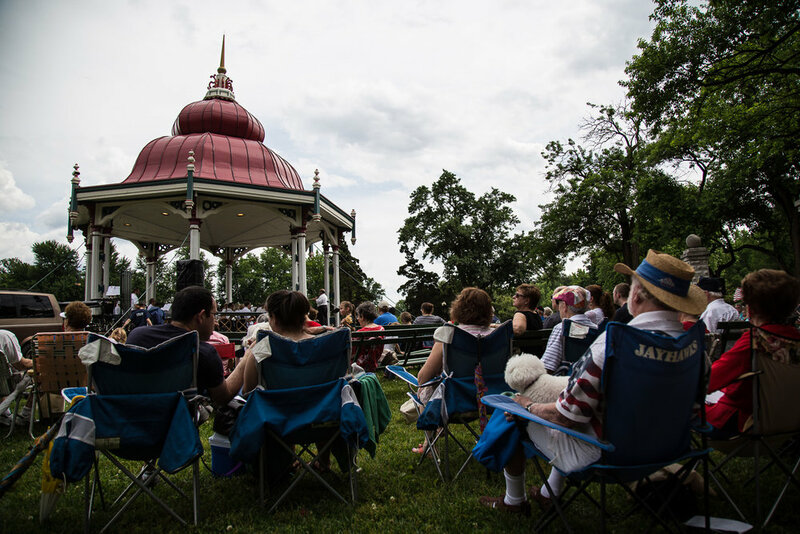 In the fall of 2016, Tower Grove Park began a new master planning process, the Park’s first since 1985. Following a national request for proposals, the Park commissioned Rhodeside & Harwell of Washington D.C. The firm has extensive experience with high-profile historic properties, including the U.S. National Arboretum and Olmsted’s Branch Brook Park in Newark, New Jersey. The first public open house on January 18, 2017 was attended by more than 250 people who posted hundreds of notes and comments. Another 1,280 people completed an online survey seeking input. The level of participation was more than double what was expected, suggesting a high level of enthusiasm and engagement among stakeholders. The Park formed a Community Advisory Committee, composed of local religious, education, business, and community leaders, who also participated in the planning. Funding for the Master Plan was provided through grants from the William T. Kemper Foundation, Commerce Bank Trustee, and by the Crawford Taylor Foundation.